The aim of this page is to keep everyone, residents and visitors alike, up to date with what "unusual" birds are about. Observers are asked to contact me on info@arranbirding.co.uk. The intention is to keep the page up to date so that others can benefit from the sharing of observations. In the event of rarities being found, further details will be required from observers. arranbirding.co.uk has complete discretion as to what information is added to these pages. In particular, any details which might reveal breeding sites of vulnerable species will be excluded. No information will be published which may in any way put birds at risk. 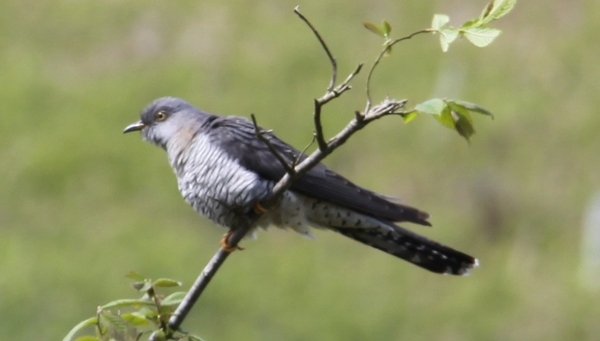 On Friday 19 April in the morning there was a report of a Cuckoo calling in Lochranza. This is the first Arran report received this year. The first report received in 2018 was on 16 April. The earliest record received was 8 April 2011. 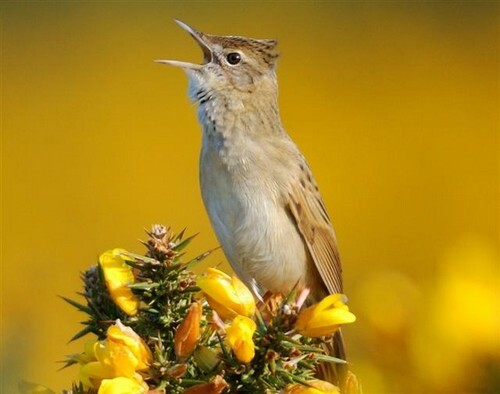 On Friday 19 April in the morning there was a report of a Grasshopper Warbler reeling at Imachar. This is the first Arran report received this year. The first report received in 2018 was also on 19 April. The earliest record received was 12 April 2011. 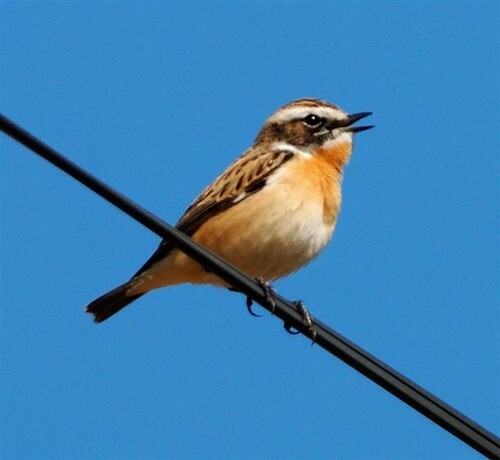 On Thursday 18 April there was a report of a Whinchat singing on Corriecravie Moor. This is the first Arran report received this year. The first report received in 2018 was on 28 April. The earliest record received was 1 April 1988. 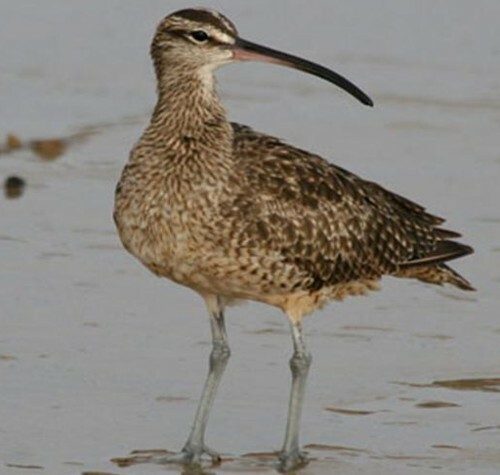 On Tuesday 16 April there was a report of a Whimbrel on Kildonan shore. On Wednesday 17 April there was a report of a Whimbrel on the shore at Cosyden. Numbers of these northern breeding passage migrant should build up over the next few weeks. Listen out for their "seven whistle". 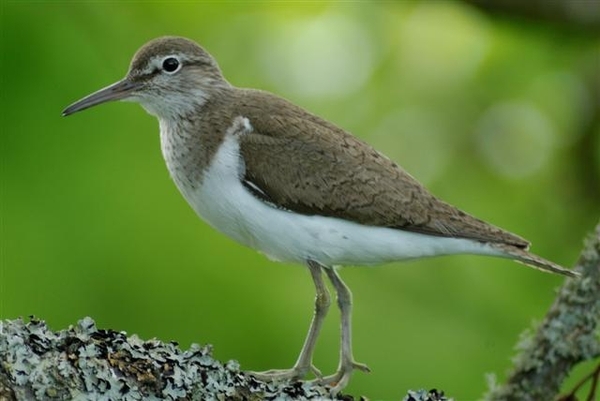 On Monday 15 April there were two reports of Common Sandpiper, one in Dougarie and one in Sannox. These are the first Arran reports received this year. The first report received in 2018 was on 14 April. The earliest record received was 29 March 1998. 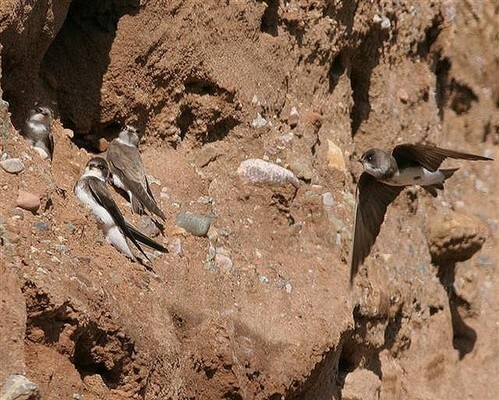 On Sunday 14 April there was a report of four House Martin on Newton Hill. This is the first Arran report received this year. The first report received in 2018 was on 15 April. The earliest record received was 12 March 2017. 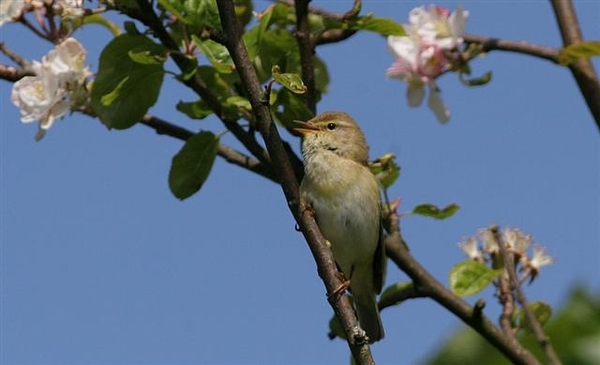 On Wednesday 10 April there were reports of Willow Warbler singing in Kingscross, Whiting Bay (by the primary school), Pirnmill and Clachaig. These are the first Arran reports received this year. The first report received in 2018 was on 7 April. The earliest record received was 20 March 1994. 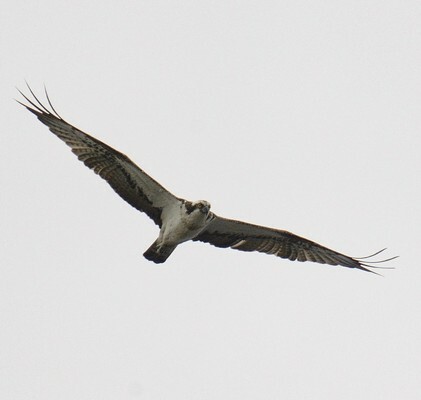 On Sunday 7 April there was a report of an Osprey passing through Lamlash Bay. Osprey is an occasional passage migrant to Arran. There was only one record last year and that was in August. 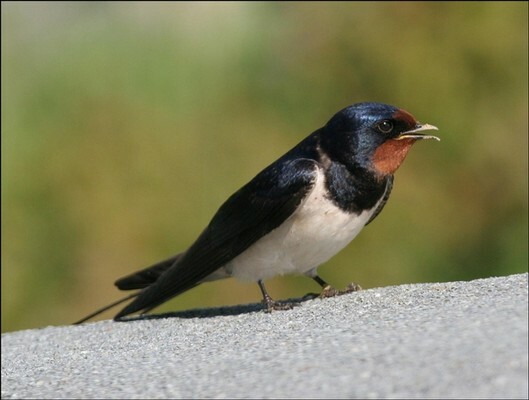 On Saturday 6 April there was a report of a Swallow in Dippen. This is the first Arran report received this year. The first report received in 2018 was also on 6 April. The earliest record received was 23 March 2005. On Saturday 6 April there was a report of two Blackcap singing on Knockenkelly Farm, Whiting Bay. This is the first Arran report received this year. 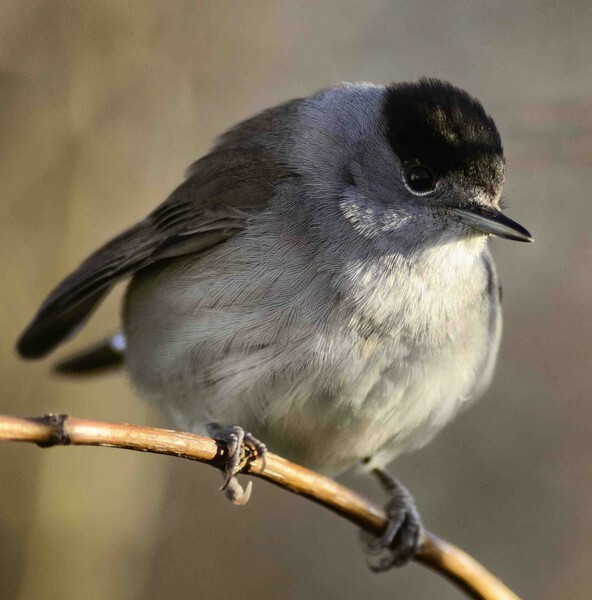 For more information on Blackcap on Arran click here. 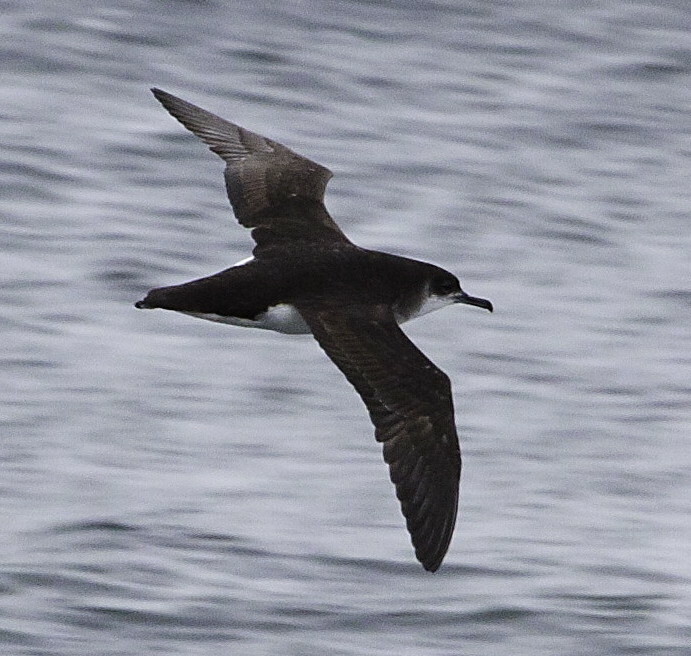 On Thursday 4 April there was a report of a group of around forty Manx Shearwater off Drumadoon Pont. This is the first Arran report received this year. The first report received in 2018 was 26 March and this is the earliest record received. 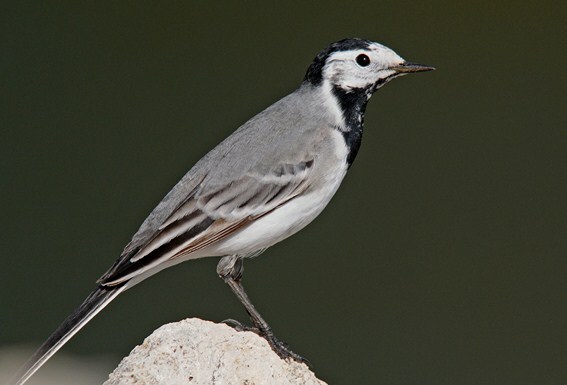 On Thursday 4 April there was a report of a White Wagtail at Kilpatrick Point. This is the first Arran report received this year. The first report received in 2018 was 7 April and the earliest record I have is 24 March 2008. 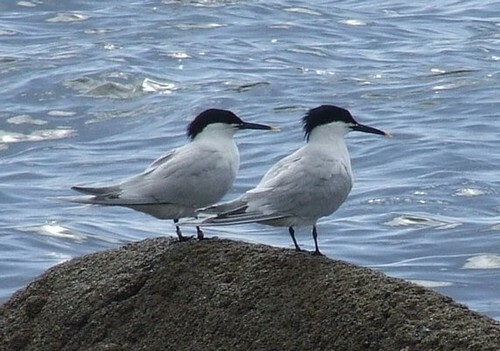 On Tuesday 2 April there was a report of two Sandwich Tern resting on rocks at Porta Buidhe, Kildonan. This is the first Arran report received this year. The first report received in 2018 was 31 March and the earliest record I have is 30 March 2016. 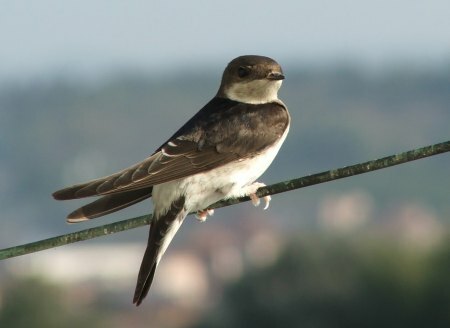 On Sunday 31 March there was a report of five Sand Martin at Catacol in the late morning. This is the first Arran report received this year. The first report received in 2018 was 14 April and the earliest record I have is 18 March 2009. 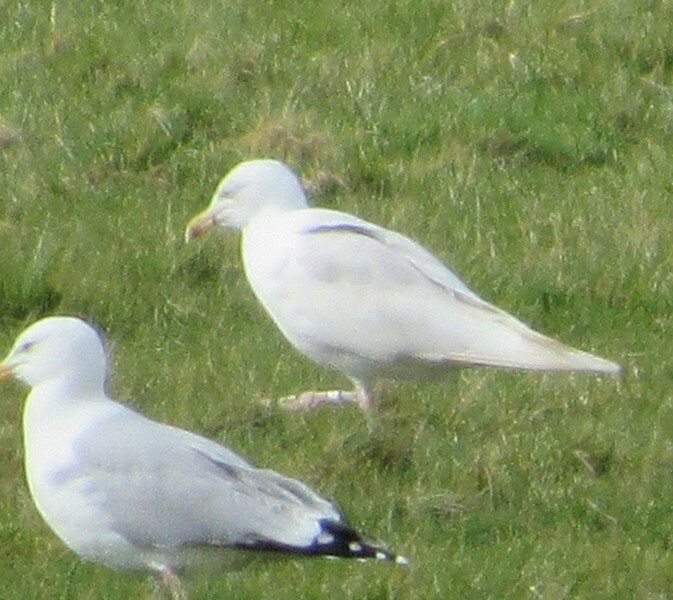 On Thursday 28 March a white-winged gull with a ring on its left leg was photographed in a field by the Shiskine surgery. This is probably the same bird that was caught and ringed for identification purposes at Sliddery on 24June 2018. 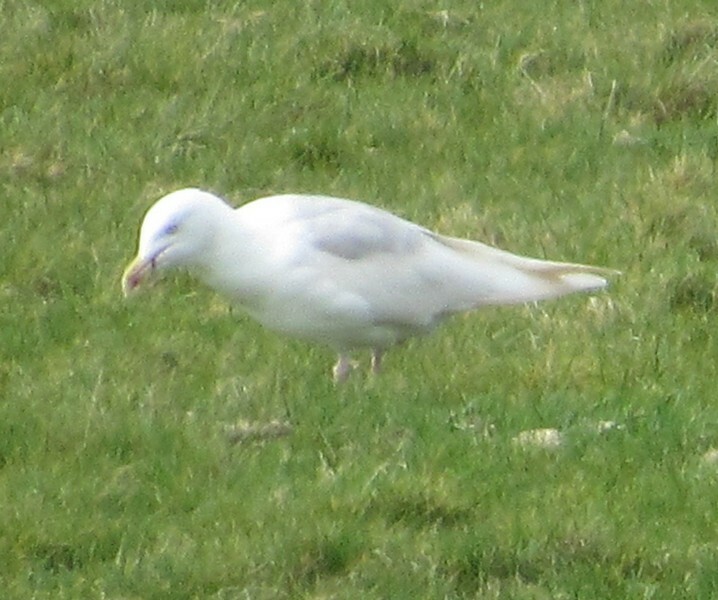 It is not a Glaucous nor an Iceland Gull. It was described as an albinistic type Herring Gull. 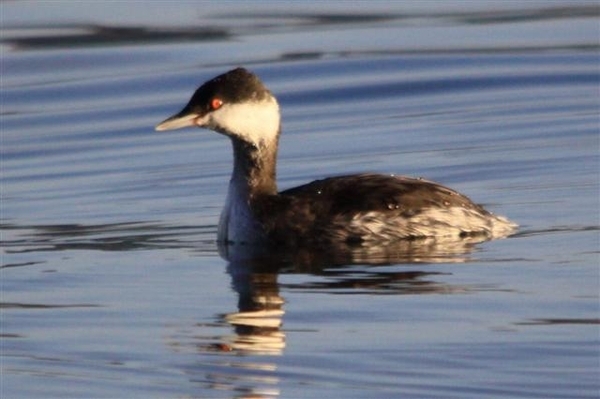 On Monday 25 March there was a report of two Slavonian Grebe off Cosyden. The last Arran record of this occasional winter visitor and passage migrant was on 30 October. Before that the last record was January 2017. On Sunday 24 March a female Wheatear was photographed on Whitefarland shore. This is the first Arran report received this year. The first report received in 2018 was 18 March. 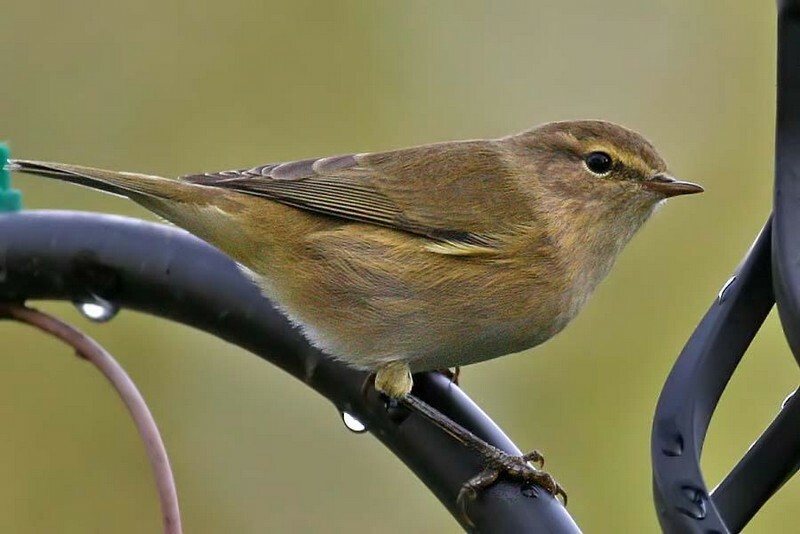 On Saturday 23 March there was a report of a Chiffchaff in Sliddery. This is the first Arran report received this year. The first report received in 2018 was 11 March. On Saturday 23 March the Water Pipit was stil present close to the shore in Machrie Bay. On this occasion it was by puddles in wet fields by the Machrie Moor road corner. It has now been in the area a month. 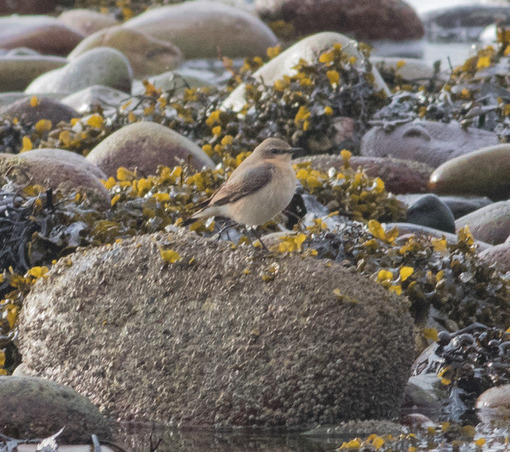 Also Sunday 24 March when photo showing start of breeding mout was taken..
On Friday 8 March there continue to be reports of the Water Pipit from Machrie Bay. Mainly from the orignal location but also from the adjacent Machrie Golf Course again viewable from the road. This morning it was on the green below Machrie Tearoom with Rock Pipits - feeding amongst all the seaweed thrown up from the shore. On Monday 25 February there continued to be reports of the Water Pipit from the same area as the previous two days. The bird, which is feeding on the tide line on the shore is best viewed from the adjacent main road. The bus stop area and the pull in area both allow good coverage of the shore. 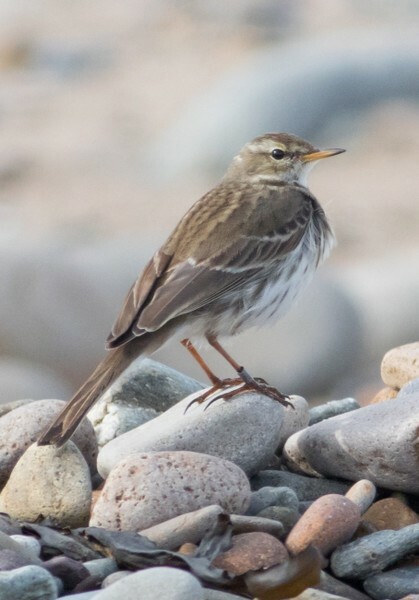 On Sunday 24 February the Water Pipit first reported yesterday was again showing well on the same stretch of shore giving particularly good views from the road between the two bus stops between roughly half twelve and half two. 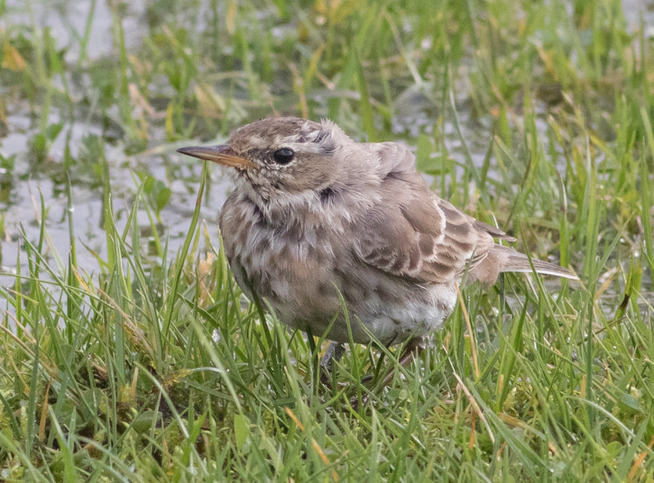 This winter has been exceptional for recording Water Pipits in Scotland with at least 30 records to date. (Normally there are about 1-3 records.) Ayrshire alone has had eight records this winter. Most of the birds are long-stayers. So let's hope the Machrie bird, a first for Arran, is no exception so that people can watch and enjoy this rare visitor. 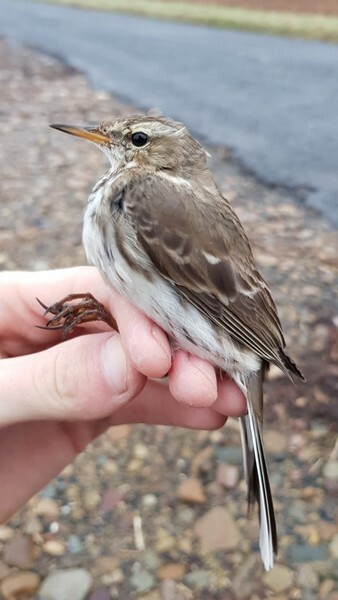 On Saturday 23 February around noon a Water Pipit was trapped, ringed, photographed and released in Machrie Bay. It was feeding on the tide line just south of the slipway reference NR892346 with occasional forays across the road and up the hill to a favoured wet area. This is the first ever report of this species on Arran. This has been reported to the Clyde Bird Rarities Panel. On Saturday 9 February there was a report of a Brambling with Chaffinches coming to garden feeders in Kiscadale, Whiting Bay. This is the first report this year of this species. The last report was earlier in the winter from Cordon on 9 November 2018. 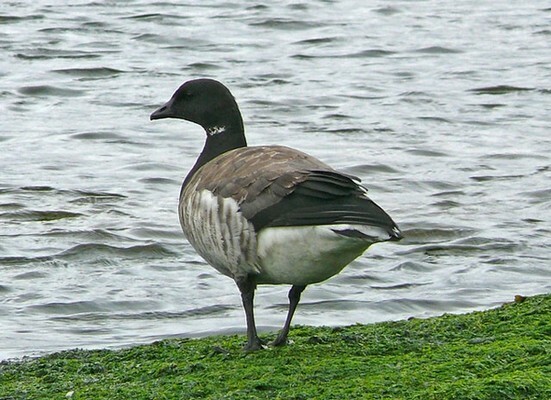 On Sunday 6 January there was a report of two pale-bellied Brent Geese on the shore at Silver Sands. 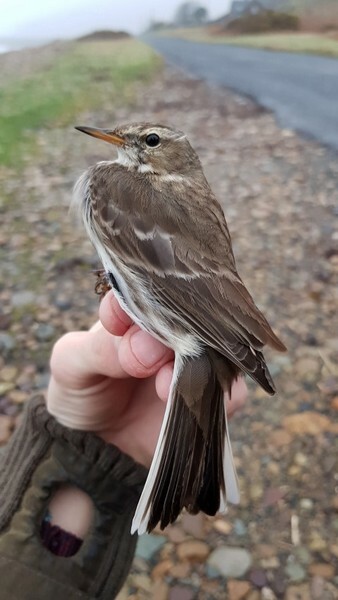 This is the first report of this species on Arran since April 2017. On Tuesday 1 January there was a report of twelve Pink-footed Geese with the flock of around five hundred Greylsg Geese in the Shiskine Valley. 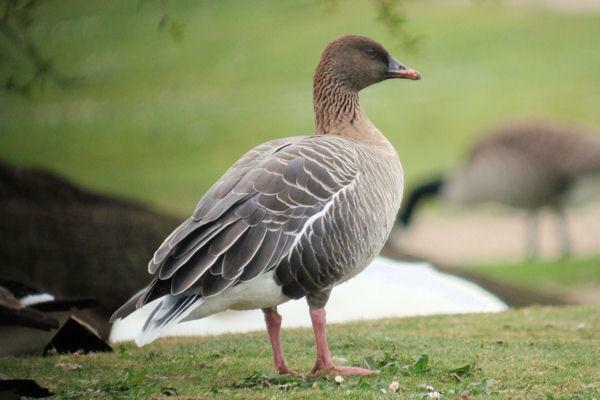 This is the third record of Pink-footed Geese on Arran this winter. 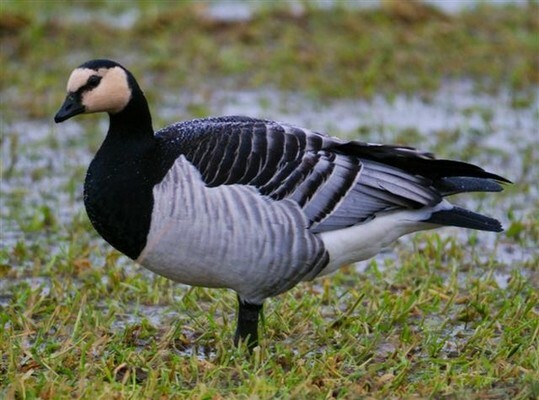 On Tuesday 1 January there was a report of two White-fronted Geese with the flock of around five hundred Greylsg Geese in the Shiskine Valley. 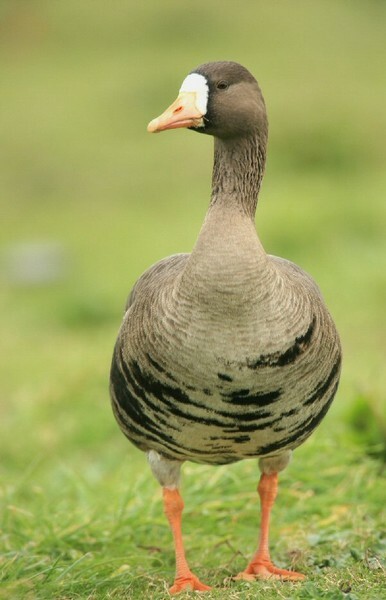 This is the first record of White-fronted Geese on Arran this winter. 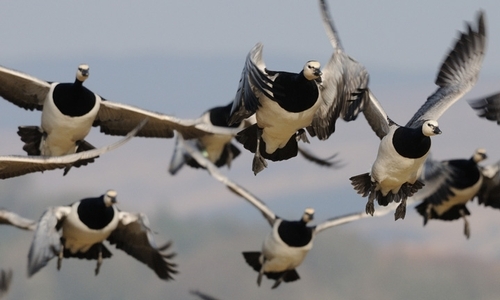 On Monday31 December there was a report of a Barnacle Goose with the flock of around five hundred Greylsg Geese in the Shiskine Valley. This is the fourth record of Barnacle Goose on Arran this winter. 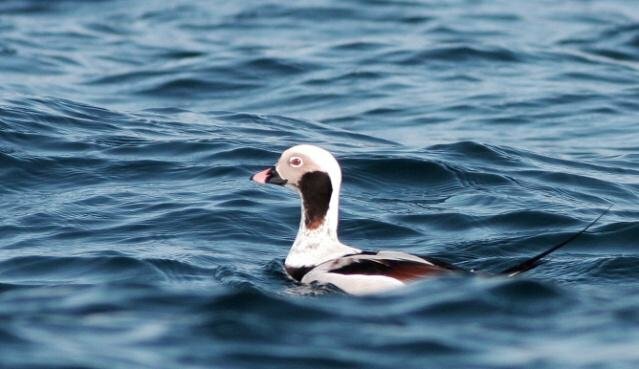 On Friday 7 December there was a report of a male Long-tailed Duck in Whiting Bay feeding between Sandbraes and Kingscross Point around midday. It flew off south and was not detected later in the bay. This is the first record of this Arctic breeder to Arran since February 2016. It is a rare vagrant here. 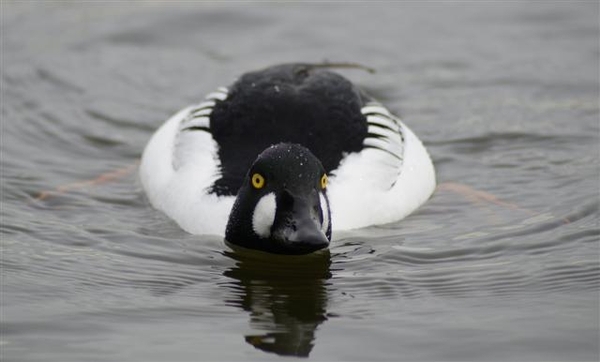 On Thursday 22 November there was a report of a male Goldeneye in Mossend Pond. This is the first winter report this year of this regular winter visitor. 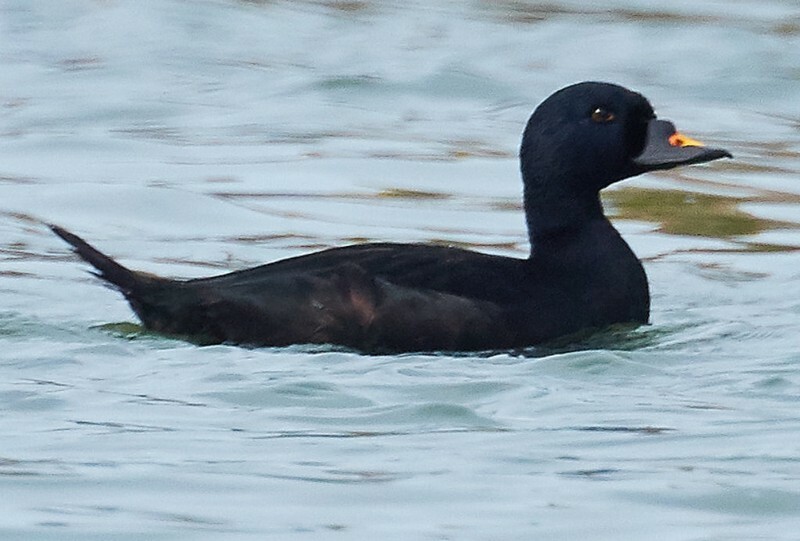 Last year the first report of this diving duck was on 14 November but reports have been as early as 12 October. 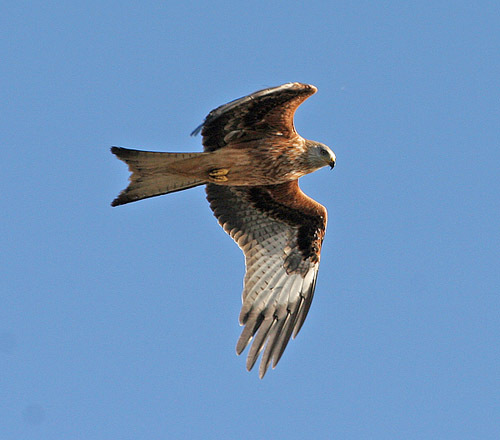 On Wednesday 21 November there was a report of a Red Kite flying west to east over the forest south of Auchareoch around midday. This is the fourth record this year of this occasional visitor from the re-introduction programmes on mainland UK. In 2017 there were no records. 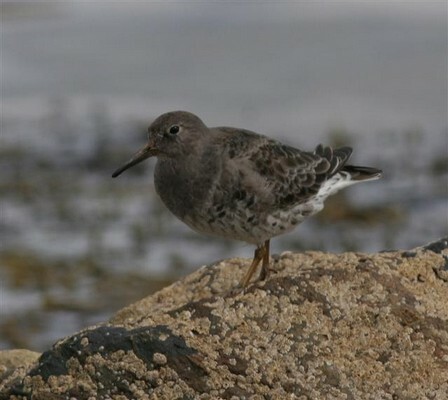 On Saturday 17 November there was a report of a Purple Sandpiper at Silver Sands, Kildonan. This is the first autumn/winter record of this regular passage migrant and winter visitor. Last year the first report was on 29 October. 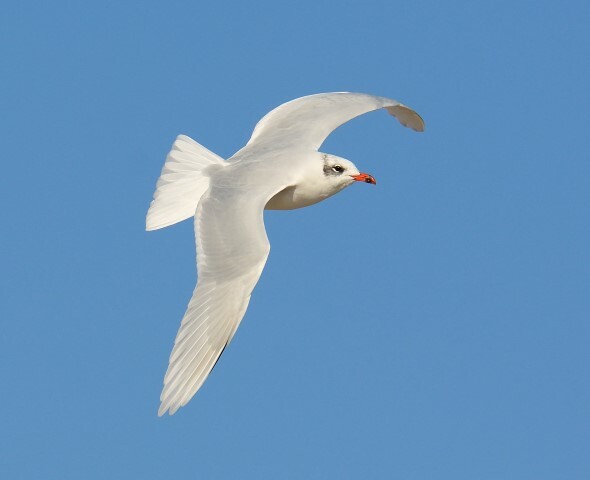 On Monday 5 November there was a report of an adult Mediteeranean Gull in a grain field in Sliddery. Other gulls present included around six hundred Common Gull and around two hundred Herring Gull. This is the second record of Mediterranean Gull on Arran this year. There were no records in 2016 or 2017 of Meditereanean Gull on Arran. For more information click here. On Saturday 3 November in the morning there was also a report of a pale phase Arctic Skua off Pirnmill. This is the second Arran record this year of this uncommon passage migrant. Last year there were two records from two locations. 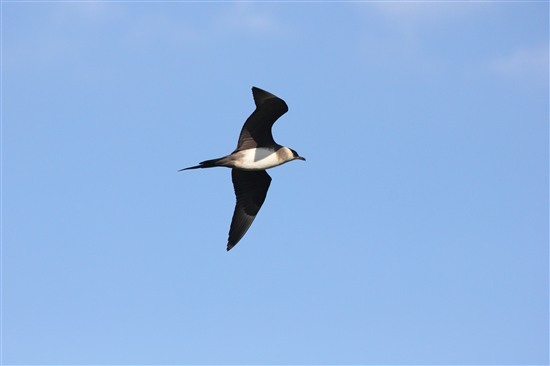 On Saturday 3 November in the morning there was a report of a Great Skua off Pirnmill. 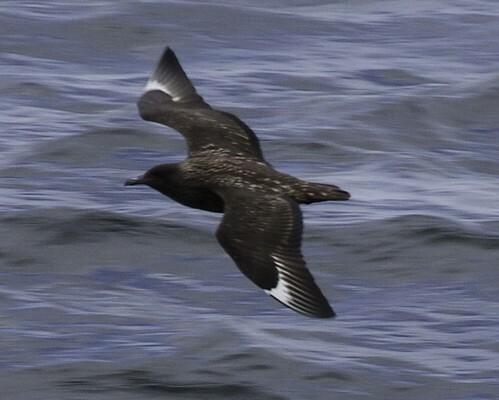 This is the first Arran record this year of this uncommon passage migrant. Last year there were five records from four locations. On Tuesday 30 October there was a report of two Slavonian Grebe in Whiting Bay out from The Grange showing well in the sunshine. This is the first Arran record of this occasional winter visitor and passage migramt since January 2017. 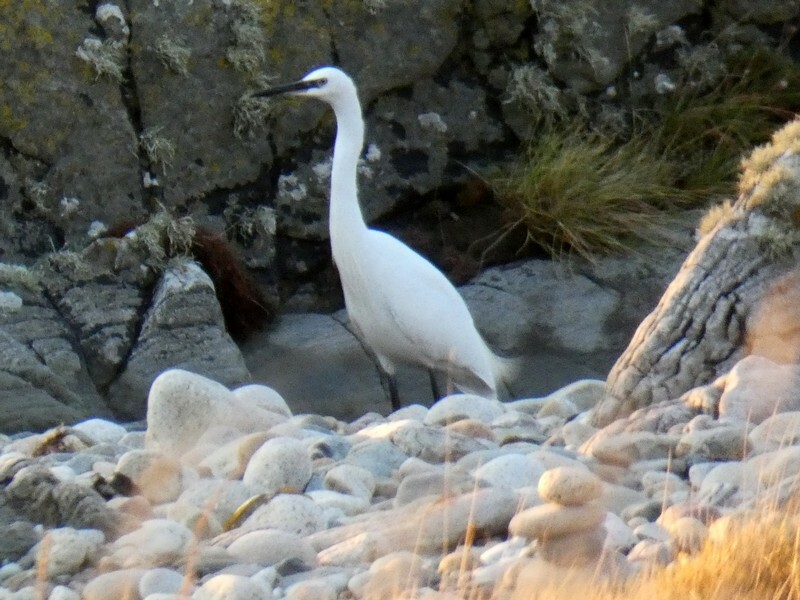 On Sunday 28 October there was a report of a Little Egret on the shore at Cordon. It seemed to be associating with two Grey Heron. This may or may not be the same bird that was reported earlier in the month. The last record I received was on 12 October from Rubha Salach between Corrie and Brodick. 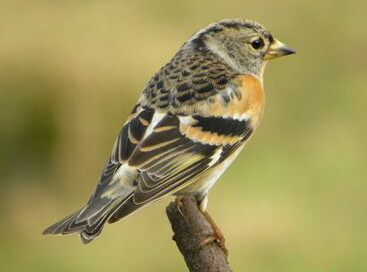 On Sunday 28 October there was a report of 20 Brambling in Sliddery. It is turning out already to be a real Brambling winter with records of this irruptive species from Cordon, Sannox, Torbeg, Glemloig as well as Sliddery over the last weekend. 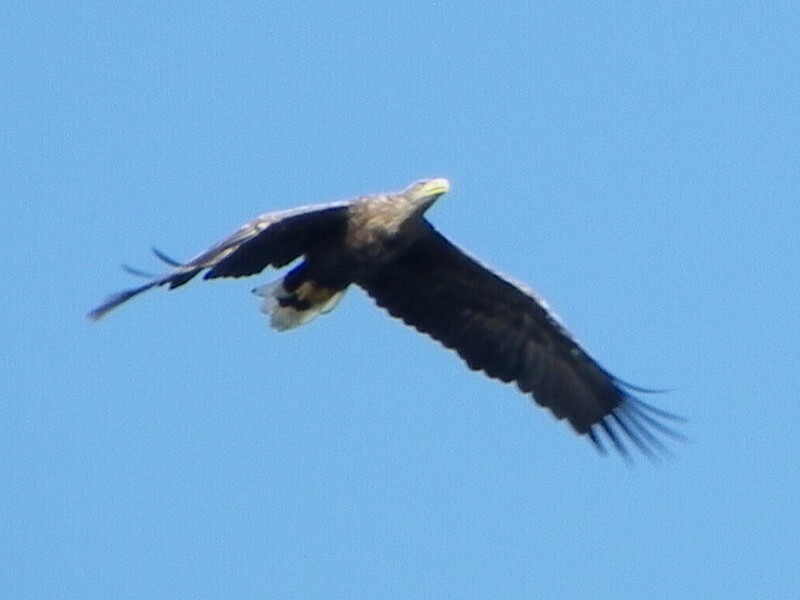 On Sunday 21 October there was a report of an adult White-tailed Eagle soaring and heading north above the higher ground between Machrie School House and Auchercar. This is only the second Arran report this year of this rare vagrant to the island. The nearest breeding pair is on Jura. On Saturday 20 October there was a report of seven Rook in Sliddery. 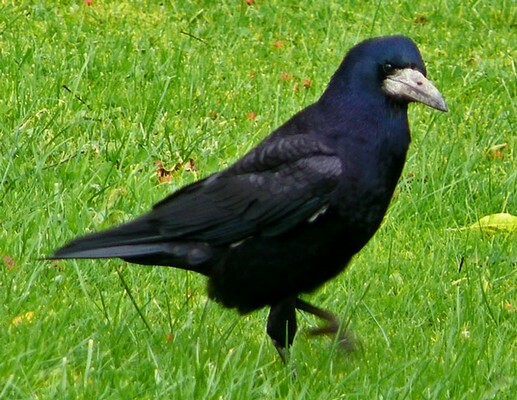 Rook do not breed on Arran but are regular winter visitors. Last year the first autumn record was on 14 October. This year the first report was also on 14 October when nine were reported in Sliddery. 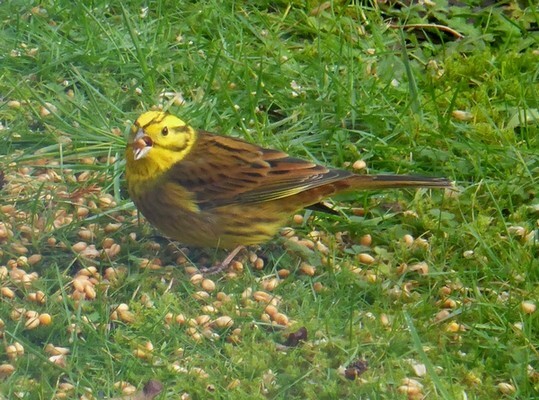 On Saturday 20 October there was a report of two Yellowhammer in Sliddery. This species, which was once a common resident breeding bird on Arran, is in decline and is now a passage migrant and winter visitor. 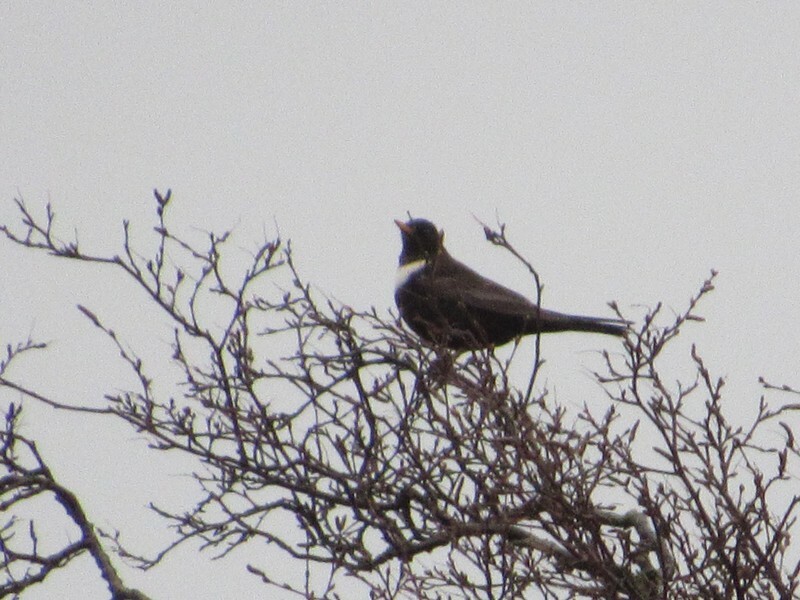 On Thursday 18 October there were reports of mixed flocks of Fieldfare and Redwing in High Kildonan and in Shannochie. 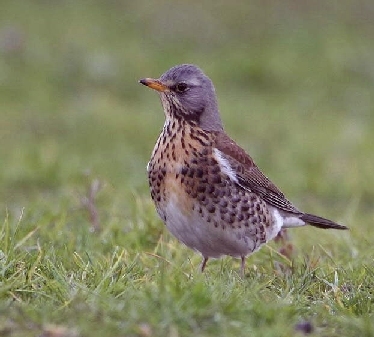 These are the first autumn records of Fieldfare, a regular winter visitor this year. Last year the first record was 20 October. 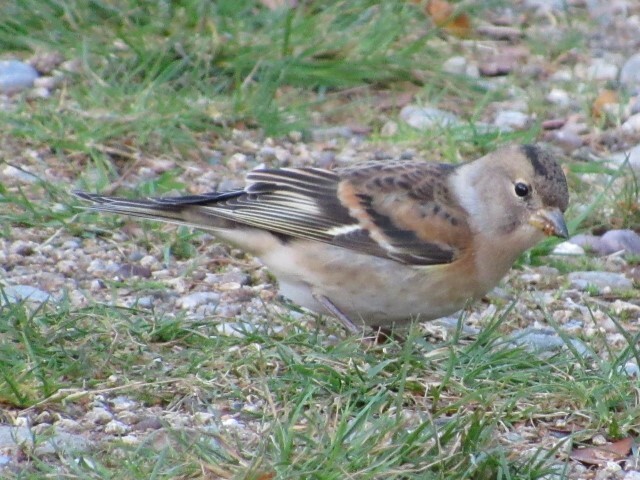 On Tuesday 16 October there was a report of two Brambling in a garden in South Newton. This is the first autumn record of this irruptive winter visitor this year. Last year the first record was 29 October. On Friday 12 October there was a further report of Little Egret. This time from the east of the island on the shore near Rubha Salach between Corrie and Brodick. It was seen just before midday. There was no sign of it in that location two hours later. On Thursday 11 October there was a further report of Little Egret. It was again seen on the west coast. This time it was in the bay south of the King's Cave. Also received on the 11th were two other reports of Little Egret one on the shore of Loch Ranza on Wednesday 10 October and the other one in Auchenhew Bay towards Bennan Head on Thursday 27 September. 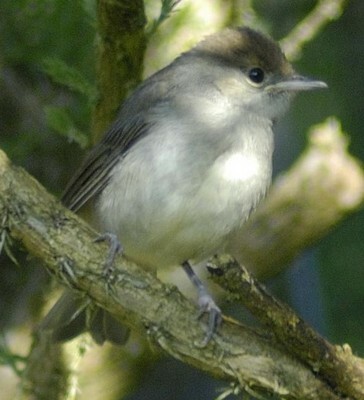 On Thursday 11 October there was a report of a female Blackcap on Machrie Golf Course, This may be the first report of an over-wuntering Blackcap this autumn. For more information click here. 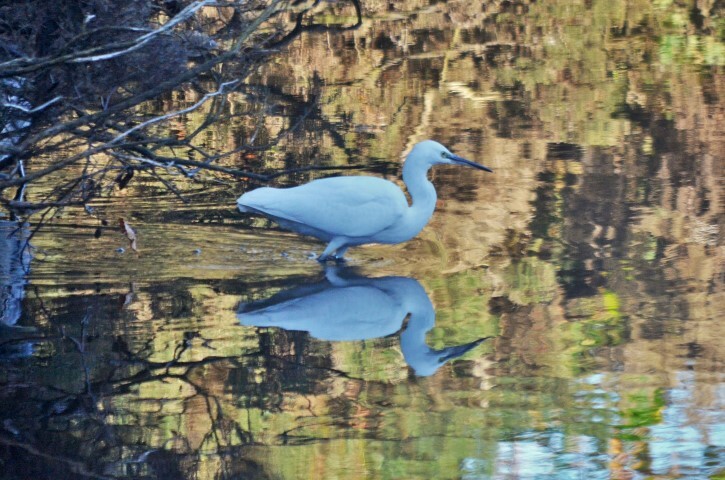 On Wednesday 10 October there was a report of a Little Egret on the west coast of Arran. It was first seen north of Pirnmill, then later south of Pirnmill and as it continued to move south it was at Imachar where this photograph was taken. This is a rare vagrant to Arran but Little Egret is extending its range in the UK northwards. For more information on Little Egret on Arran in 2017 click here.